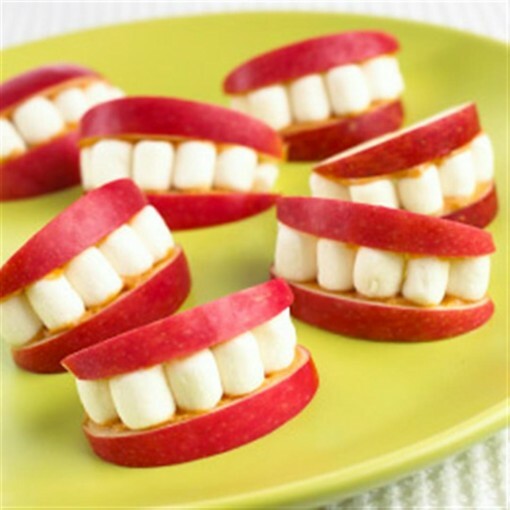 Apple Smiles was posted on May 10th, 2011 and is filed under Arts & Crafts, Dairy Free, Gluten Free, Kid Friendly, Recipes, Snacks. This entry has 8 comments. You can follow any responses through the RSS 2.0 Comment Feed. 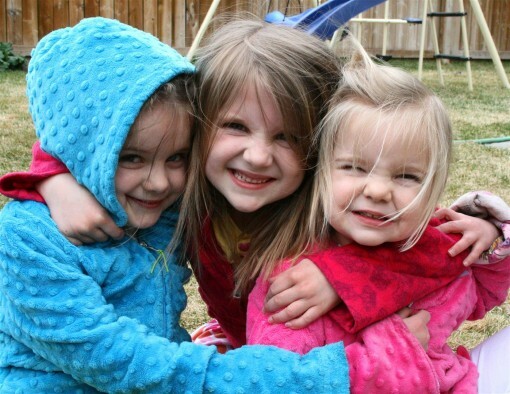 My sister and I got to spend a couple days babysitting three of my nieces…we just had a blast. I’ve done a post with them before, not too long ago…the things they come up with to do for fun is daaaahling…whether it’s Rapunzel in the playground, singing loud, made-up songs while swinging, dancing, painting with watercolors…they make everything exciting. We had buckets of fun. While the youngest one there took her nap, the two oldest girls and I decided to make a fun snack. Apple Smiles. It’s the easiest thing in the world. I got the idea from a picture I found on the internet. The picture is how they are supposed to look, but our apples were more yellow than red and they didn’t have mini marshmallows in the house, so we cut up the giant ones. All in all…they really didn’t look much like the picture. But we had a grand time and they tasted good! That’s all that matters, right? Simple spread a little peanut butter on a couple slices of apple. Place mini marshmallows in between for teeth! So simple for children! …And lick fingers. Then we woke up the last little girlie and went outside with our apples to eat them while enjoying the sunshine. They’re such sweeties…I love their smiles. 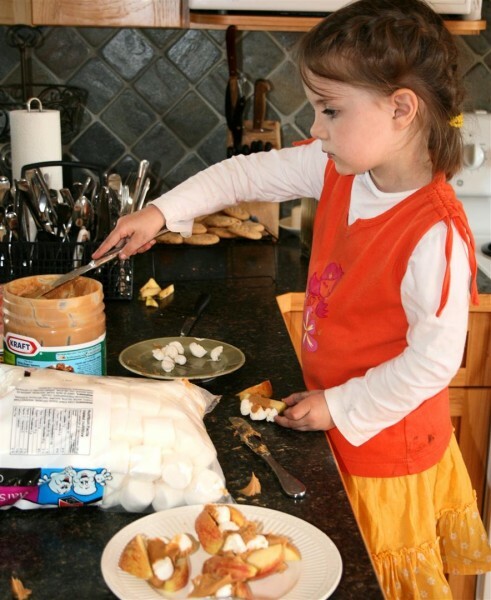 What is an easy child-friendly snack you make? Mary~ So glad you visited! They are sweet girls! Too cute for words! 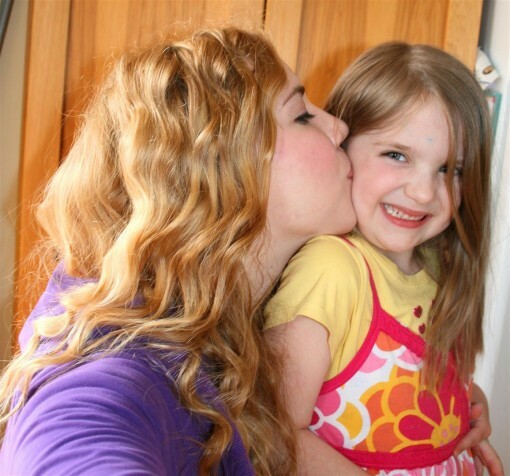 Thank you for being such a wonderful auntie! 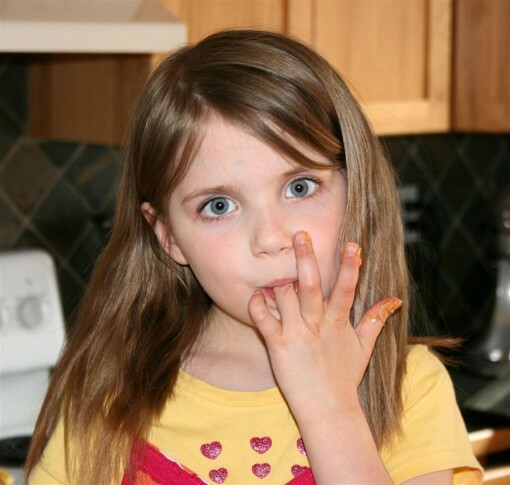 Adorable pictures and what a fun snack.